WHY TRAVEL TO BULGARIA ? 1. Biodiversity: In Bulgaria there 3 National parks, 11 parks and 17 Biosphere Reserves. Thanks to the biodiversity of Bulgaria, it ranks second in Europe (of course Spain ranks first). 2. Protected area: Within the European network Natura2000, Bulgaria has 228 protected areas for habitat protection, representing the 29,5% the territory of Bulgaria. 3. Wooded area: He 35% of Bulgarian area it is occupied by forests (UN data 2010: «Bulgaria – Environmental Summary»). Therefore hike in Bulgaria is a treat for lovers of the sport. 4. Bulgarian treasures: The tranquility that prevails there, the beautiful nature and tasty cuisine, are the 3 tourism mainstays Bulgarian Interior. 5. It is fashionable: Bulgaria travel is fashionable, Unlike other classic European destinations that are in decline, The number of Spanish visitors to Bulgaria is rising every year, do not be the last to discover Bulgaria!!!. 6. Cheap, cheap: Bulgaria belongs to the European Union from 2007, but it has not yet adopted the Euro, It maintains its own currency, he “Lev”, and the average Bulgarian wage is very low compared to the European average, all that allows products and services, maintaining quality, they are very cheap for foreigners (Forget London and Paris, Bulgaria yes you come back with a suitcase full of fashion and gifts with the best price / quality ratio) . 7. Exclusive destination: The population density is only 66 inhabitants / km2, versus 118 half of the European Union and 93 of Spain, which along with the extensive wooded and mountainous area guarantees that can be performed outdoors with greater tranquility and exclusivity in classic European destinations, that is why hiking in Bulgaria and other activities like trekking are a unique and different experience. 8. Green paradise close: The main adventure destinations are within walking distance on the main airport in Sofia and they are easily accessible for low-traffic roads, reducing the time aimed at transfers compared to other European destinations. If you have a few days do not waste your time in European mega-airports, queues and jammed roads, Bulgaria everything is easier and faster!!!. There are departures daily flights from Spain to the capital, Sofia, coming within 3 hours. 9. 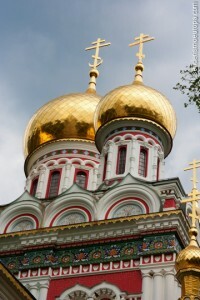 Exotic culture: If you want a cultural trip, You can not stop traveling to Bulgaria. Traditional Bulgarian Thracian culture is rich in heritage, Slavic and Bulgarian, with influence of the Greeks, Romans, Ottoman and Celtic. It stresses the Cyrillic alphabet of the Bulgarian language is currently used and who is originally from Bulgaria, no Greek or Russian as some mistakenly think. All this along with the majority Christian Orthodox worship religion gives Bulgaria a unique cultural exoticism within the European Union. 10. Covered health emergencies: Bulgaria has a universal health care system and belong to the European Union, you only have to travel with your ID and your European health card issued in Spain for treatment for any health emergency, income or operation. However in senderismoeuropa.com you recommend additional insurance depending on the risk level of the activity you are going to make, for repatriation expenses or other, it is not mandatory but is recommended for peace of mind, we give you this advice for free, Only if you decide to hire or not. To travel to Bulgaria is the best time in terms of the activities that we want to develop there. If we are to perform activities outdoor sports and the best season to travel is logically the Spring and Summer. You can see all the activities we organize clicking on menu Start. And remember that there is a time difference so you have to watch ahead one hour when you get there about the time in Central Europe. 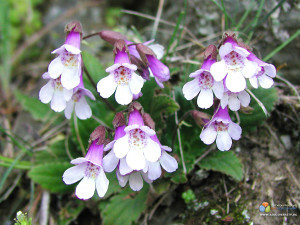 The “Flower Orfeo”, endemic to Bulgaria. From April the countryside is an explosion of spring flowers, colors and scents, Spring is the best time to travel to Bulgaria because the temperatures are pleasant for activities, field, rivers, waterfalls, etc… they are at its peak and we feel like the only tourists in the country. The high season comes in July and August when the Bulgarians mainly take their vacations and some foreign tourists arrive, but it never becomes crowded as in other European destinations. September and October are also a very good time to visit Bulgaria, temperatures are mild, hardly any tourists and the trees begin to show the full range of autumn colors, green, yellows, red, brown,…still a paradise for lovers of nature photography. Bulgaria is also a booming destination for lovers of winter sports, Recent resorts are well equipped and with much less tourists than in the rest of Europe. The official currency is the lev (leva en plural). The average exchange rate of the lev is 1 € = 2 takes, which makes it very advantageous for our purchases. 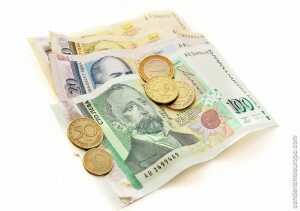 There are problems to change euros in the numerous bank branches or agencies of change of cities, or own Sofia Airport. The use of credit cards and ATM is not widespread outside cities so before traveling to Bulgaria should be made with cash for daily expenses in rural areas. Belonging to the European Union, in Bulgaria we will be served free to any emergency or hospitalization by presenting the European Health Insurance Card. However we recommend especially if you go to adventure sports, such as canyoning and climbing, we recommend hiring some additional travel insurance to cover the costs of a possible repatriation, rescue, etc. Citizens of the European Union do not need visa to enter Bulgaria. The passport allows entry to stay 120 days from the date of entry and DNI 30 days. Citizens of Argentina, Chile, Mexico, Colombia, Paraguay, Uruguay, Venezuela and the US. They can stay in Bulgaria without a visa for up to 90 days. Citizens of other Latin American countries like Bolivia, Ecuador or Peru do need a visa to Bulgaria. However we recommend inquire applicable legislation before traveling to Bulgaria if they had changed since the publication of this information. Rila and Pirin are alpine type. They have sharp peaks and steep peaks. The highest peak in Bulgaria and the entire Balkan region is the mountain Musala (2.925 m), It is in Rila, almost identical height reaches the peak Vihren (2.915 m) que pertenece a Pirin. 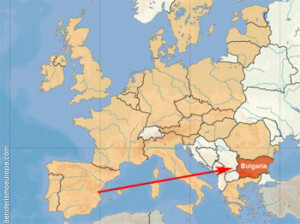 In the Bulgarian mountains there are over 35.000 km. of marked trails. A gift for hikers. A particular feature of the mountains of Bulgaria is that you can get almost all peaks above 2.500 meters high without using aids alpine. Summer routes are marked with paint on rocks and trees, while winter paths have metallic markers. Free camping is prohibited. If you need any assistance on the mountain, you have to contact the local Rescue Service Mountain phone number 112, Please note that even matches the number used in Spain, Bulgaria being on the phone you will be attended by Bulgarian officials. The highways are underdeveloped, mainly the capital to the east of the country. Displacement in rural areas are slow and problematic especially in mountain areas far apart. Bulgarian cuisine is one of the oldest on the continent. It has Greek and Turkish influences and ingredients based on fresh local produce, and in pigs as a protein source. The cheeses are consumed in multiple recipes and varieties, and yogurt it not only consumed as a dessert but in different dishes and drinks. In daily food it is easy to find a variety of salads, and shaped meat kebab and Turkish influence by kyufte. In the most traditional cuisine we can try more elaborate dishes like stew kavarma, Sarma, ... And sweet desserts like baklava with walnuts. Among drinks, both pivo (beer) like wine are good quality, but the most popular is the coffee at cafes mushrooming in many cities, these being the favorite meeting place for local. If you want to know the recipes of traditional cuisine you can find in our section “Bulgarian cuisine recipes“. Bulgaria is a peaceful country, just popular revolts or strikes occur and suffers terrorist acts. However, the abrupt change from communism to capitalism has led some people to begging or crime in some cities, however the state security services work effectively to prevent crime by keeping them below the European average, and in any case the theft can be avoided using common sense. Furthermore there is no harassment tourist who decides to travel to Bulgaria by beggars or pickpockets, as is the case in other European capitals.